Like all countries, Vietnam is struggling to preserve nature in the face of economic growth. Biodiversity offsets may provide one part of the solution, and will certainly be a hot topic at the Seventeenth Katoomba Meeting there on June 23 and 24. Ecosystem Marketplace examines the legal status of biodiversity offsets in Vietnam and how the country hopes to get it right. 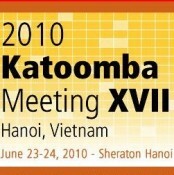 3 June 2010 | On April 22, 2010, the Government of Vietnam, through the Ministry of Agriculture and Rural Development (MARD) and the Ministry of Natural Resources and the Environment (MONRE) held an initial workshop with the Business and Biodiversity Offsets Program (BBOP), a program of Ecosystem Marketplace publisher Forest Trends, to discuss the potential for Reprint Guidelines for details on republishing our articles.